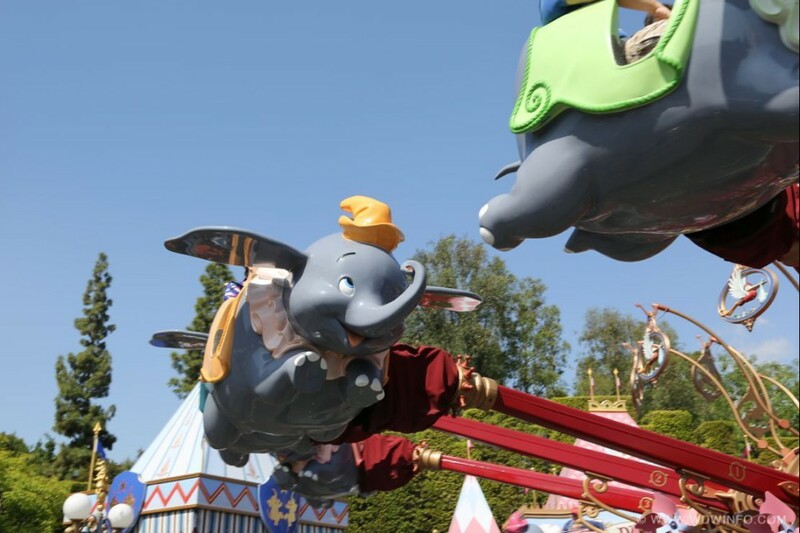 According to park hours and information released this morning by the Disneyland Resort, the Fantasyland classic, Dumbo the Flying Elephant, will reopen at Disneyland Park on April 27th. The attraction has been closed since January 8th for a refurbishment that included a fresh coat of paint and a brand new relocated queue that includes a shade structure for those sunny California days. The Main Street Vehicles, which also closed on January 8th due to construction on Main Street, were scheduled to reopen today, but it appears that has been pushed back a week to March 23rd.